So you've read my post about workout wear, you've hit the gym a couple times, but you still want to see results right away! I know it's hard to wait for, but there is hope! You can shed some visual weight just by choosing the right kind of clothes that direct the eye to all the right places. Want to know how to become this magician of the closet? 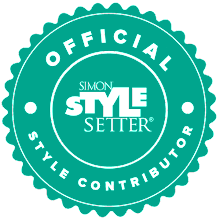 Click here to read my latest Style Setter post on the subject, and get yourself looking slim! TheSpiff.com is a website where fresh, hot ways of making yourself more beautiful are dished up 5 days a week. Because everyday should be a spiffy day! For more about TheSpiff.com see the skinny on the spiff-top right!